More and more money are invested by foreign companies in the Ukrainian real estate. 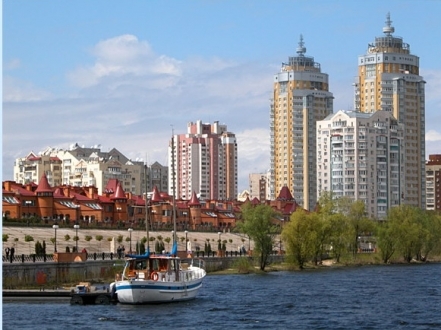 Experts note increase in the inflow of foreign investment from Russia and Europe into the Ukrainian real estate market. It is reported by the company SV Development. Experts believe that the Ukrainian market for a long time will be attractive to foreign companies. All segments of the real estate market is in the growth stage and are far from being saturated. This allows investors to expect a rapid return on investment and high return. The interest was shown in 35 countries around the world according to the company. Among them, there are Cyprus, Turkey, Italy, USA, Virgin Islands, Germany, Romania, the UK and Poland. Significant amounts of foreign funds are concentrated in the area of hotels and restaurants, construction, retail and entertainment centers, rental properties. The most attractive is the capital market for commercial real estate. Here profitability in all segments more than in London, Budapest, Prague, Warsaw and Moscow. Experts also point out that the money of foreign companies work in other regions of Ukraine. It shows the implementation of projects in Dnepropetrovsk, Donetsk, Kharkov, Odessa, on the southern coast of Crimea and Carpathian mountain slopes. In Chernovtsy, for example, the real estate accounts for the largest portion of all foreign investment. In particular, the amount of foreign direct investment in the form of share capital was $ 27.9 million. Liked this article, you will soon receive an e-mail.